As well as selling post boxes, Chiltern Antiques is also often in a position to buy genuine Post Office and Royal Mail models. We carry out full restoration of boxes, so their state of repair is not necessarily a barrier to purchase. 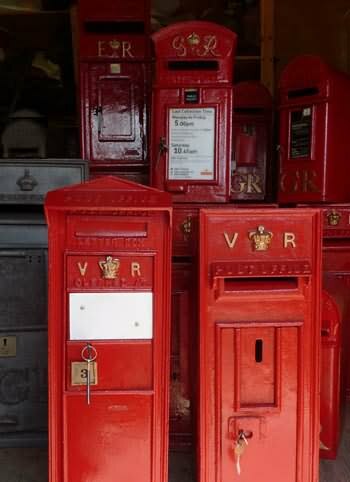 Please note we do not buy or sell reproduction boxes - we only deal with original Post Office letter boxes which have been fully decommissioned. We are also interested in other Post Office memorabilia. In the first instance, please get in touch to discuss what you have to sell. Phone: 01628 524889 / Mob: 07970 493413.